If you thinking about becoming a welder, you should keep in mind that despite it’s challenging, this career is absolutely satisfying and rewarding. Moreover, there is plenty of job options for welders in Oregon. 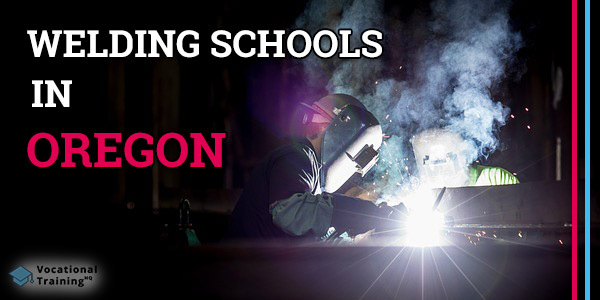 In case, you’re really interested in this career, we’ve prepared for you the list of the best welding schools in Oregon. Also, you’ll be able to find some useful info in this article. 4 Where Can Certified Welders Work in Oregon? To begin with, before making a decision, it’s important to understand what is welding. In simple words, welding is a process of joining metal pieces heating and melting them. In order to do it, you need to be able to use various methods and tools. As we said before, there is a whole bunch of various welding methods. In fact, there are more than 100 of them and the method choice depends on the type of project. Among the most popular methods, there are such options as Flux-Cored Weldin, Shielded Metal Arc Welding, Plasma Arc Welding, and others. An average median salary of a welder throughout the country is about $39 390 per year or $18.94 per hour. At the same time, welders in Oregon earn a median salary of $42 150 annually or an hourly wage of $20.66. Speaking of the top 10% of welders throughout the USA, they earn about $62 100 per year, while the top 10% of welders in Oregon have about $57 860 per year. Where Can Certified Welders Work in Oregon? There is the whole bunch of industries where certified welder can work in Oregon. It can be rather challenging to look for the best welding certification program. That’s why we’ve decided to offer you our helping hand and prepared the list of the best welding schools in Oregon. There are 13 available options in the list. You just need to look for alternative careers in Oregon. Now, as you’ve learned about welding, its specifics and welding schools in Oregon, you can make a final decision. Just make sure you evaluate your decision properly and start moving towards the career of your dream.